During a Rough Magic rehearsal week here in the Big Blue Building, David Mullane sat down with Sonya Kelly, Gina Moxley and Justin Murphy to find out how they make a show like How to Keep an Alien. Sonya Kelly triumphantly returns to Dublin Fringe Festival next month following the success of her first show, The Wheelchair on My Face, which played the Fringe back in 2011 and carried on to win awards and critical acclaim left, right and centre, including a Scotsman Fringe First in Edinburgh and a New York Times Critics’ Pick. While swept up in this whirlwind tour, she was also contending with the powers that be in the Irish Immigration Service, trying to secure a visa for her Australian partner, the alien of the show’s title. She’s coming back to Fringe to tell this tale. Not only is Kelly returning to Fringe but she’s working with Gina Moxley again, who directed her in Wheelchair. Differences aside, the pair make for a fine partnership, with a winning development formula. Justin Murphy is a stage and company manager with Rough Magic, usually never seen onstage but his involvement in the reading went down so well with the audience that Sonya decided to write him into the show, changing it from a one-woman show to a “one-woman-and-one-man show”, according to Gina. Putting Justin front and centre is also a way for Sonya to celebrate the work of stage managers. 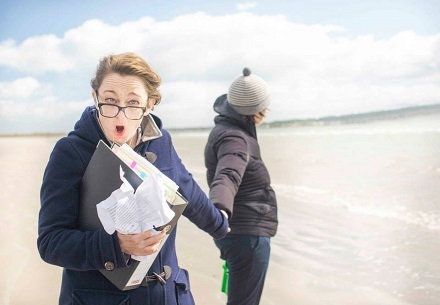 Coincidentally, Justin has also experienced the frustrations of the Irish Immigration Service, which greatly informed Sonya’s script and adds to their onstage rapport. Sonya’s love of radio documentary also shaped the script, helping her broaden its reach and appeal. “She just wants to flog this around the country for another two years”, Gina wickedly suggests. The company have had a busy summer. When not developing the script and rehearsing, Gina was in Edinburgh with the multi-award-winning Lippy, Justin was touring with Mark Cantan’s Jezebel to Cork and London, and Sonya? “Ms Kelly was chained to a radiator learning her lines”, answers Gina. 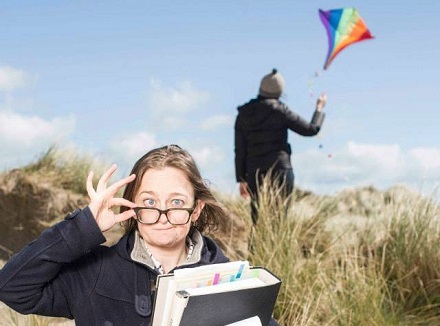 The director certainly doesn’t mess around and her survival plan for Fringe is just as hardheaded and pragmatic, “Cool head, dry pants and a plane ticket to Brisbane”. Two days after the show’s run here in Project, the company are packing up and heading down under to the Brisbane Festival. While the Irish Immigration Service may be reluctant to welcome Sonya’s Australian partner to our coutry, it seems the Australians are eager to have Sonya come to theirs. 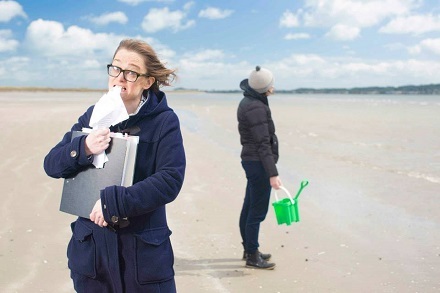 How to Keep an Alien, as part of Tiger Dublin Fringe, runs in Project Arts Centre from September 04 – 13.